Reduce the environmental burden of landfill with Charlotte Willis’s guide to reducing your waste. The world we live in has become accustomed to single use. We throw away the equivalent of our body weight in rubbish every seven weeks, with the UK alone producing just over 100 million tonnes of household rubbish every year. At Vegan Food & Living, we are on a mission to help you reduce your single-use material consumption, and we’re starting with the most essential of activities we all perform at least twice per month: your grocery shop. our trash travels upon once thrown in the bin. Out of sight, out of mind – a complacency which suits our single-use lives yet, at the same, is a terrifyingly destructive attitude. The cost of our habitual wasting is mounting up: landfills are over-saturated; our oceans are soon to be filled with more plastic items than fish; recycling levels are falling; and we are outsourcing our refuse to other countries to deal with, resulting in shipments of our trash ending up in less developed countries every day. Makes you think twice about that plastic straw, hey? Besides single-use coffee cups and on-the-go food, the number one source of daily single-use waste, be it plastic or otherwise, lurks in our kitchen cupboards and fridges. Have you noticed the waste that surrounds the produce we buy, that contains the drinks we use every single day, and houses the food we consume? Just pause for a moment and consider it: salad leaves are contained in plastic bags; strawberries in plastic boxes; cereal in endless packages and packets; stickers on avocados, melons and apples; cucumbers wrapped in plastic. You get the gist. 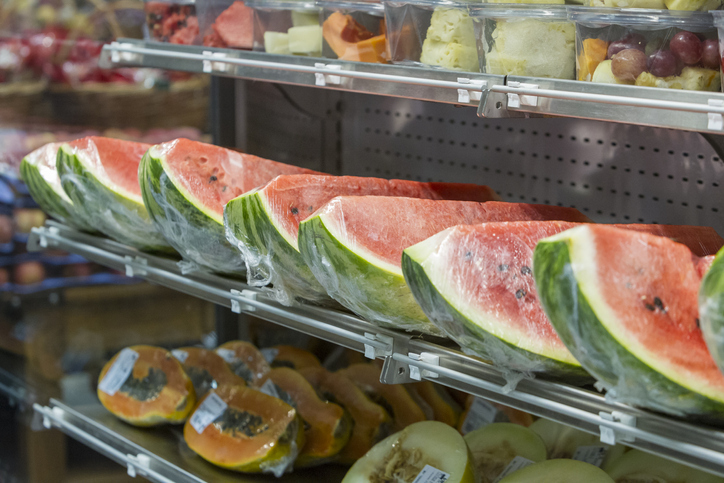 While this is very handy for supermarkets as it eases the process of mass transportation and protects food from damage when in transit, these films, wraps, labels and containers will more than likely wind up stuffed in the bins of the households whom consume them. Many of these items will either reside in landfill, or require additional energy-dense recycling methods in order to be suitable for re-use. So what can we do? As the consumer, we have the opportunity to eliminate this trail of unnecessary rubbish. The answer: zero waste shopping. A good place to start on your journey is a blog by zero-waste heroine Kathryn Kellogg, a lady who can fit her entire year’s worth of waste inside a small mason jar. No, really. A jar. 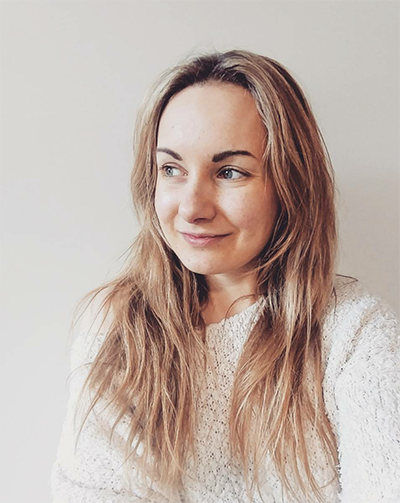 On her site, goingzerowaste.com, she points out that the majority of us will visit a grocery store maybe once to three times per week, with the odd lunchtime dash to Tesco here and there. So what better place to begin our war on waste than with the necessary task of food shopping? Our step-by-step guide will have you mastering zero-waste shopping in no time. Next time you are shopping, make a note (or take a picture) of the produce in your supermarket that already comes free from any needless packaging. This will most likely include loose fruit and veg such as mushrooms, broccoli, potatoes and apples. This is a great place to start, as you can now begin to bring your own packaging such as rope bags and biodegradable brown paper bags to place your loose items in. You’ll eliminate those annoying plastic bags, plastic or Styrofoam cartons, and the plastic wrapping film that surrounds foods, conveniently reducing your waste without venturing too far afield. Before you begin embarking upon your waste-free shopping in supermarkets, be sure to scout out one or two of your local produce markets. Make a morning of it, chat to the producers about their crops and harvests; you’ll be surprised at how generous they can be. 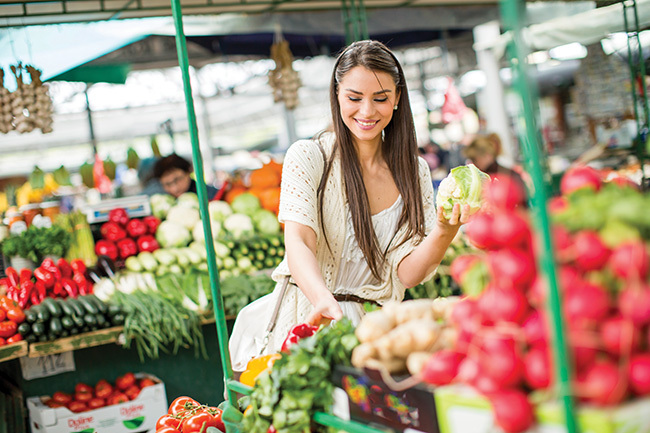 Make sure these markets are close enough to provide you with a reliable and easy substitute for supermarket foods. They must also have a great variety of fruit and veggies in order to keep your diet varied and exciting. This will help prevent you lapsing back to potentially-packaged supermarket products later. Going zero waste is easier when you prepare yourself for the challenge. Remember to save empty jam jars, peanut butter pots, protein powder tubs and other containers that can be used later for refilling. Just make sure you clean them out properly before use. 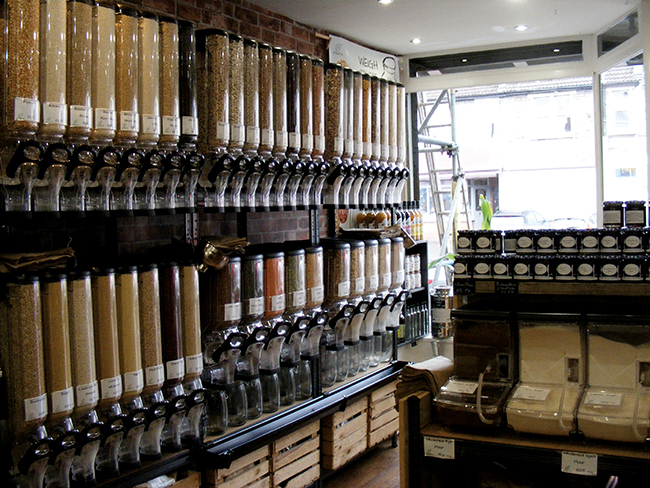 One fantastic way to reduce your dependency upon single-use plastics and containers is to buy dried food staples in bulk. Bulk buying huge sacks of flour, 5kg bags of grains such as rice and oats, legumes such as lentils, and even dried fruits, seeds and nuts is a great way to reduce the total quantity of packaging that you use. The majority of wholesalers and bulk-sellers will ship these to you in paper bags or hessian sacks, which can be readily reused or recycled. 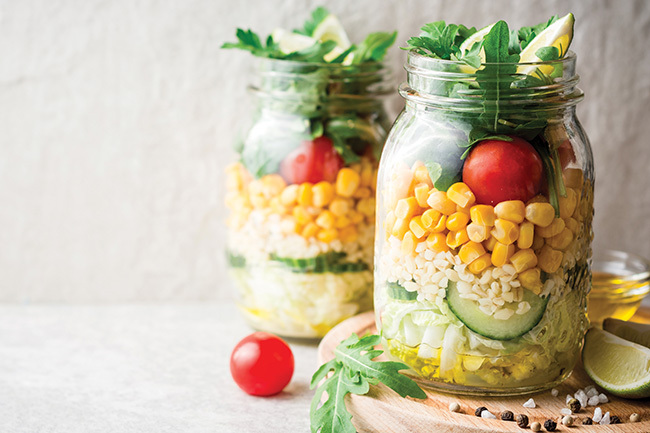 Bulk-bought foods can be stored in mason jars, or shared between friends and family. 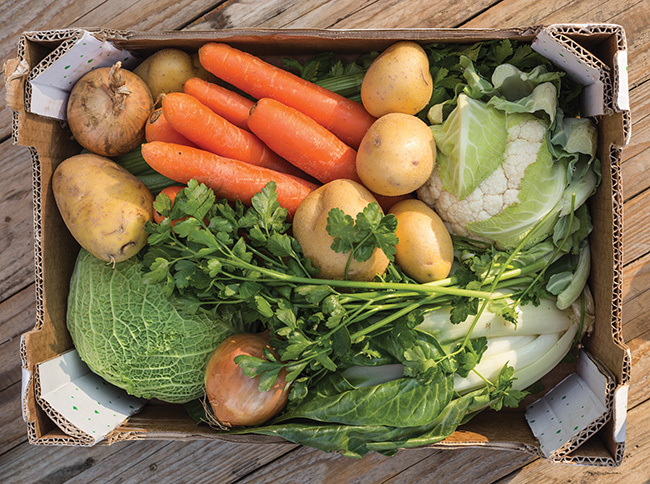 You can also bulk-buy fruits and veggies from farmers’ markets – simply take your own cardboard boxes and fill to your heart’s content. One of life’s simplest pleasures is picking your own fruit and vegetables. There’s something so utterly and sincerely rewarding about getting back into nature, foraging for your own produce on a local farm and harvesting your own foods (with the added bonus of not having to grow the food yourself). Take your own containers – you can ask the store to pre-weigh them before picking, so you don’t have to pay extra for the weight (most pick your own farms charge by the weight of the produce you harvest). Get to know the seasons too – there’s not much use foraging for raspberries in January, nor squash in May. Before you venture out, it’s worth calling the farm or checking their website to check the availability of their seasonal produce that is ripe for the picking. Download a seasonal fruit and veg calendar from websites such as bbcgoodfood.com/seasonal-calendar. You can also take a course in foraging: you might have read a few magazines on mushrooms, and know your blackberry from your raspberry, but it’s a good idea for any new forager to take an educational one day course prior to eating any suspect fungi. 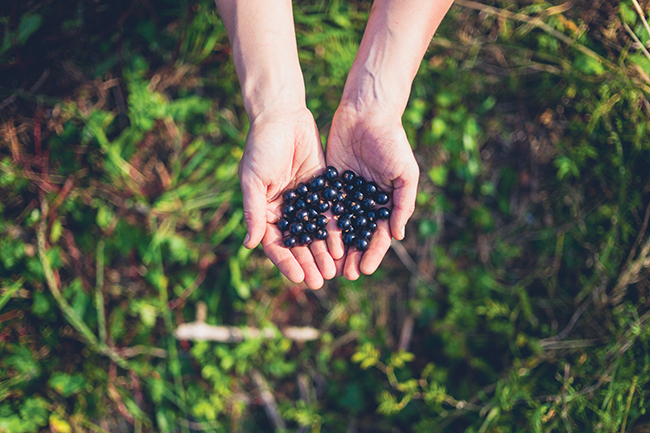 There are some fantastic foraging courses available in the UK, across all areas of the country and suiting everyone’s time-scales and budgets. Remember the thrill of filling a huge pick and mix bag with all sorts of treats? We still get slightly over-excited when given the opportunity to select our own mixture of dried fruits and nuts, snacks and seeds from a variety of jars and dispensers. 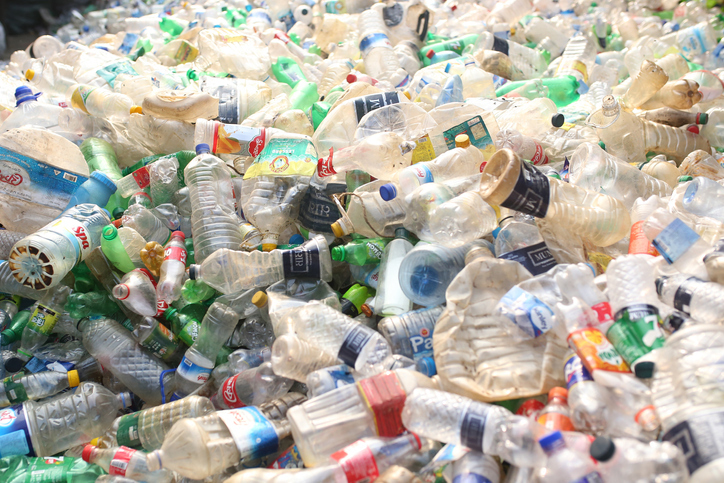 There’s an added bonus to such an obsession; you can take your own container or vessel and pay by weight, without any needless use of disposable packaging. 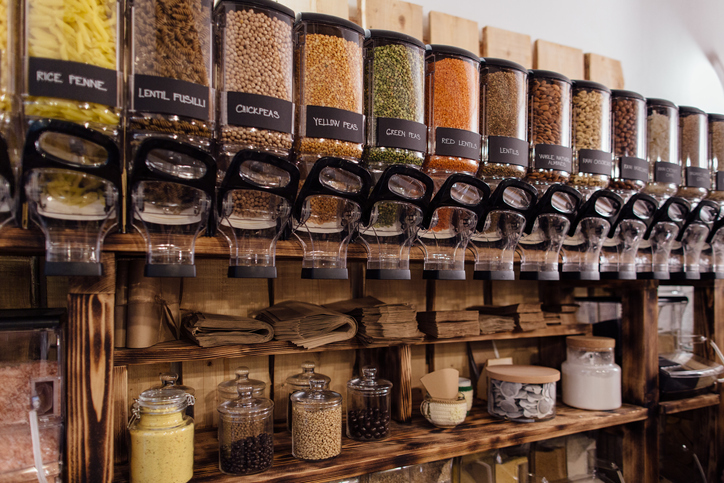 The Clean Kilo in Birmingham (thecleankilo.co.uk) and Preserve Foods in Bristol (preservefoods.co.uk) are just two of the latest zero-waste shops to pop open their sustainable doors. These pioneering supermarkets encourage buyers to bring their own containers and fill them up with a variety of goods. There’s no limit to the quantity you need to buy, no minimum or maximum amount, so you can buy exactly what you need. There are over 25 zero-waste shops in the UK, so have a quick search online to find your nearest shop! Ask about plastic-free bakes: More often than not, supermarkets will make their own bread and baked goods in-house prior to packaging with plastic sleeves and wraps. Ask the staff on the bakery counter to see if they have any baked goods that haven’t been wrapped yet. 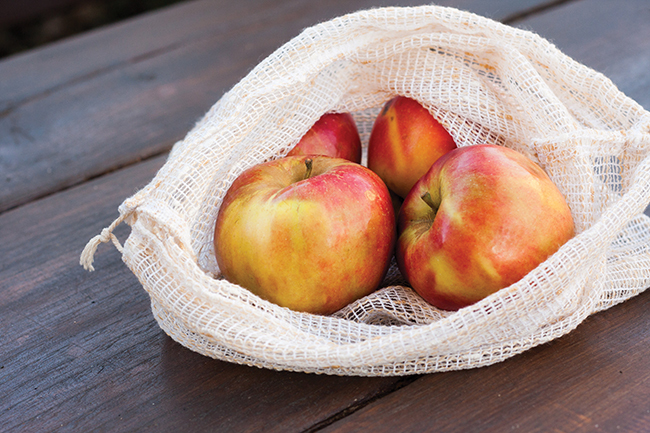 Store them in a paper bag or a bread bag instead of their plastic sleeves. Refuse ready-meals: The majority of ready-meal containers can’t be readily recycled due to food contamination and will have to go to waste. The best option for both your own health and that of the environment is to not buy them in the first place. Look for cardboard boxed or glass contained goods: If pre-packaged goods are essential, opt to buy products that are packaged in paper or cardboard boxes rather than plastic, and in jars made of glass rather than plastic bottles. Cereal boxes can be recycled, as can jars and glass containers. Refuse certain packaging: A part of living with a zero waste mentality is the refusal of certain packaged products. Unfortunately, crisp packets and polystyrene containers can’t be recycled, so avoid purchasing these, if possible. Can we save the planet with our forks?